Clarks Inn Group of Hotels has added another feather to its growing portfolio with the opening of Clarks Inn Srinagar. 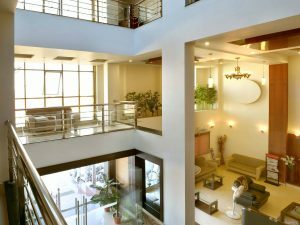 The 41-room property is strategically located at a stone-throw distance from the commercial hub of Lal Chowk and Srinagar’s scenic Dal Lake and just about three kilometres from the Mughal Garden. Located in the city centre at Jawahar Nagar, Clarks Inn Srinagar boasts of 41 rooms across different categories to cater to the needs of discerning business as well as leisure travellers. Speaking on the latest addition, S. N. Srivastava, President & Co-founder, Clarks Inn Group of Hotels, said, “The opening of Clarks Inn Srinagar is the culmination of long cherished dream of the company. We have always strongly believed in the potential of Srinagar as well as Jammu & Kashmir as a destination. And our presence today is a testimony to that. Not only we promise to offer our guests one of the finest traditions of hospitality that is in line with the Kashmiri ethos of incredible warmth, but we would also like to leverage our network strength and resources to promote the state of Jammu & Kashmir beyond just our own business interest here.” With the latest addition, Clarks Inn now boasts of a portfolio of 80 hotel properties, including 43 in operation, spread across 17 states in India and one in Kathmandu, Nepal. The hotel has a multi-cuisine restaurant brand ‘The Bridge’ besides meeting rooms and halls that can cater to various corporate and social events. 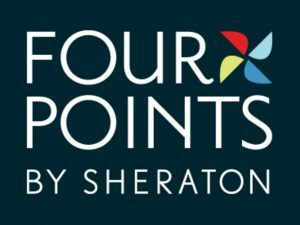 Four Points By Sheraton Tiruchirappalli is set to open doors on February 1, 2019. The hotel will consist of all the modern facilities and a worry-free stay, just minutes away from the city’s stations and airport. Opening with 110 rooms, the hotel will offer 830 square metres of function space, including a ballroom that can accommodate up to 400 people. The hotel will have four meeting space areas. Situated in the commercial hub of Goregaon in Mumbai, Radisson Mumbai Goregaon recently opened its doors to the financial capital. 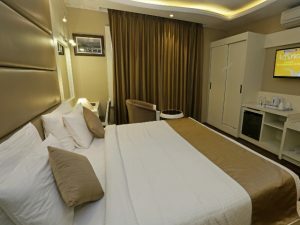 The hotel is surrounded by shopping districts, entertainment centers, tourist attractions, corporate set-ups and located in proximity to the international airport. “We are pleased to announce the opening of Radisson Mumbai Goregaon as this hotel marks an important addition to the Radisson brand family in a key gateway city. The Balwa Group are astute hoteliers and we are looking forward to expanding our relationship with the group,” said Raj Rana, CEO, South Asia, Carlson Rezidor Hotel Group. “We are confident and delighted to be working with Carlson Rezidor Hotel Group. We are committed to offer a differentiated experience at Radisson Mumbai Goregaon and epitomise the business tradition of our city,” said Hussein Balwa, Managing Director, Balwa Group. 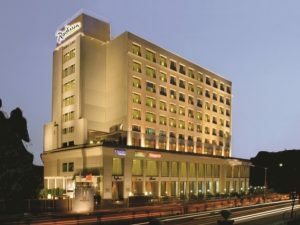 Radisson Mumbai Goregaon features 98 contemporary rooms with modern amenities. The rooms are spread across three categories namely, superior, business class and suite. All rooms are equipped with amenities including free Wi-Fi, 42-inch LED TV with premium channels, and coffee and tea making facilities. With wellness as a brand pillar, the hotel features facilities such as an in-house spa, salon and a rooftop swimming pool. 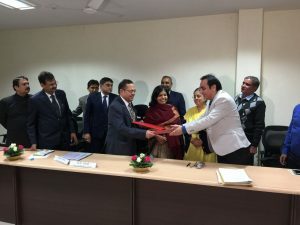 Royal Orchid Hotels has announced the opening of its new hotel ‘Regenta Inn The Dwarika’ in Dwarka, taking the number of properties under Royal Orchid group to 46. Chander K. Baljee, Managing Director, Royal Orchid Hotels, said, “We are taking continuous steps towards expanding our presence in India. 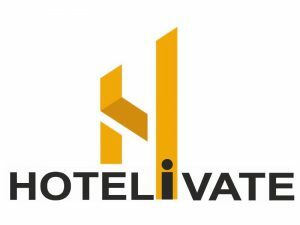 The new hotel launch in Dwarka is one such move towards our aim. By now we have added five properities – Mysore, Ahmedabad, Dehradun, Kanpur and Dwarka in the current fiscal year. We are on target to take the number of properties to 50 under the Royal Orchid Group before the end of this fiscal year.” Situated at a walking distance from the main shrine of Dwarikesh Temple in Dwarka, the hotel offers a range of category of rooms including Deluxe Rooms, Executive Rooms, Royal Suites, Club Rooms and Family Suites. 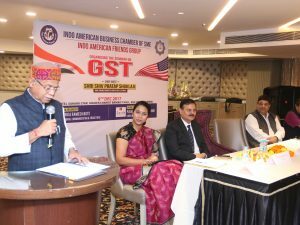 The Indo-American Business Chamber of SME in association with Lords Hotels & Resorts recently organised a comprehensive forum on Goods & Service Tax (GST) for the Small and Medium Enterprises (SMEs) at Hotel Sahara Star, Mumbai. The forum witnessed a number of entrepreneurs from various industries including manufacturing, real estate, hospitality and banking. Shiv Pratap Shukla, Minister of State (MoS) for Finance, Government of India who was the chief guest for the evening addressed many concerns expressed by the attendees and clarified nuances around the latest GST resolutions announced last month. While applauding the Govt. and its revolutionary tax reform, P R Bansal, Chairman & Managing Director, Lords Hotels & Resorts, also raised a few concerns affecting the real estate and hospitality sectors. In his speech, he appealed to the Minister to consider the pleas and convey the concerns to the GST Council for deliberation. “The reduction in GST rate for restaurant was made by the GST Council based on the feedback we received from people. We are happy that we not only reduced the GST rate from 18 per cent to 5 per cent but also made it uniform for all restaurants,” Shiv Pratap Shukla concluded. The National Capital Region is all set to witness the 5th Global Hospitality Conclave (GHC) at The Leela Ambience Gurgaon on January 6, 2018. The conclave, an independent initiative by the alumni of the erstwhile Oberoi School of Hotel Management (OSHM), now The Oberoi Centre for Learning & Development (OCLD), brings together a host of industry leaders to discuss the trends and developments in the hospitality, travel & aviation industry. GHC will see the participation of Pramod Bhasin, Vice Chairman Emeritus, Genpact; Jan Tissera, President, Travel Click; Ajay Singh, Chairman & Managing Director, Spice Jet; Puneet Chhatwal – Managing Director & CEO Indian Hotels; and Shyam Saran, Indian career diplomat, IFS as keynote speakers. Panel discussions will be held on topics such as Disruptive Innovation, Tourism Trends and a session themed Young Turks with young achievers. Organised annually, the Global Hospitality Conclave sees participants from across the world who have been part of The Oberoi Group in a leadership position. The objective is to get the Oberoi Hotels alumni together annually, who are presently employed in different sectors across the world and creating a platform of knowledge exchange, experiences and networking opportunities. The New Mauritius Hotels, which owns 100 per cent shares of Ste Anne Resort, has signed an agreement with Club Med, a French Group, for the redevelopment and subsequent rental of Beachcomber Seychelles Sainte Anne Resort & Spa. The agreement was signed on November 10, 2017. The project is expected to start in the second quarter of 2018, while the handover to Club Med is planned for the end of 2019. Jean-Louis Pismont, International Operations Manager, The New Mauritius Hotels Ltd, said, “This new initiative of our group is yet another marked testimony of our continued belief in the Seychelles tourism industry. We want to bring the resort at Sainte Anne to the next level to upgrade the offer of the destination. 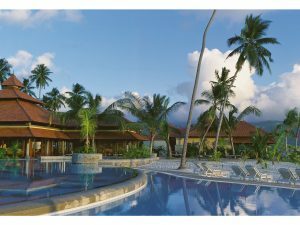 We are proud to be linked with the arrival of the first major French hotel group to Seychelles.” In a press statement, New Mauritius Hotels Ltd said the resort will be refurbished and extended as per Club Med’s five-star standards and will reopen with 295 rooms, providing job opportunities for some 500 employees.